After 3 years of silence from the Germans, "Computer World" carries two heavy responsibilities. The first one is to take over from its iconic predecessor, "The Man-Machine". However, even more difficult is the second one: to open a whole new decade, the 80's, often slippery for 70's prog bands and not particularly tender for electronic music. Will KRAFTWERK succeed at fulfil these two complicated missions? So will the musicians continue to be still pioneering and pertinent in 1981? Pretty much. Although the band had made vocations emerge for numerous young new-wave formations, and despite the style was beginning to gain huge popularity, KRAFTWERK do not follow this path. Keeping its pioneering status, the synth-pop fathers continue to pave the way for future genres to come. As a result, "Computer World" is one of their most influential release, especially for the techno genre, but also for other styles such as breakdance and even hip- hop. Featuring their coldest titles, the compositions were still ahead of their time for 1981. Furthermore, this opus is - alongside "Tour de France Soundtracks" - the one where the thematic is the most explored all along the tracks. Personal computers were beginning to populate houses, as numerical devices, and electronic instruments were more and more common in popular music. Nowadays, the relations between human and algorithms still remains an important actuality topic. Side 1 is overall nice but surprisingly not the most interesting. The title track is a very good opener and carries well its name with its synthetic blips. Cool! The playful "Pocket Calculator", whose variation is listed as "Dentaku" - its Japanese translation - at concerts, offers a few video-game sonorities but is rather monotonous and tends to become a little repetitive. The weakest passage of the album. The enigmatic "Numbers" sounds like a ramshackle calculation machine and introduces "Computer World 2", a short aerial variation of the title song. 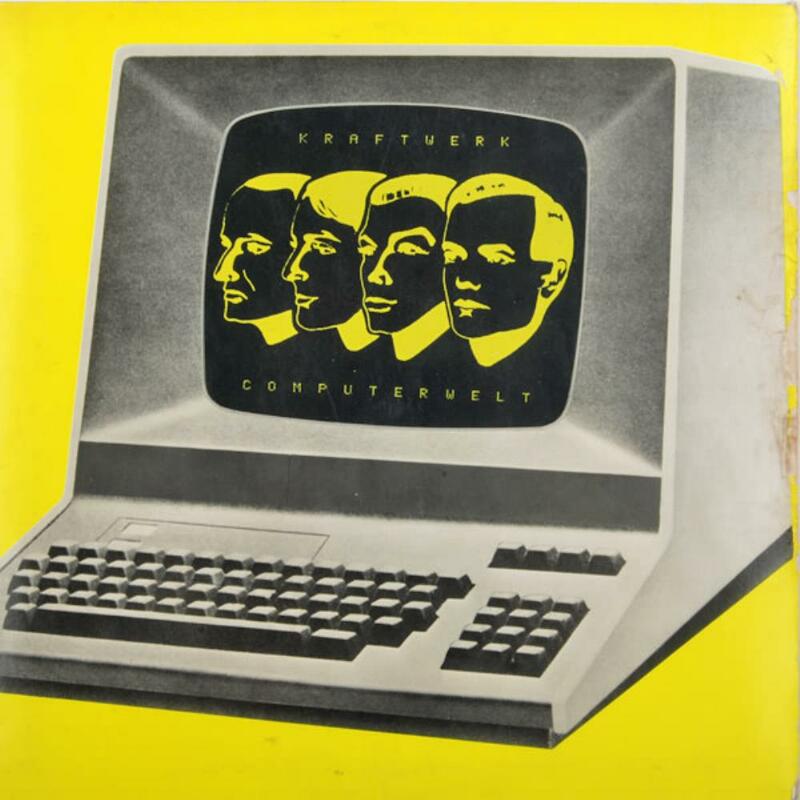 At the dawn of the 80's, as other KRAFTWERK releases, "Computer World" does not follow the new-wave flow, but instead shows the way for the genres to come, more modern and innovative. No wonder the Germans has inspired Detroit Techno with their futuristic sonorities and robotic beats. A page has been definitely turned and a new chapter is about to begin. Unfortunately, this will be the last truly influential and impacting album of the Düsseldorf pioneers. After that, the musicians will be less inspired and visionary. Although a bit dated nowadays and not as essential as "The Man-Machine", "Computer World" still remains a fun and very good pre-techno disc, as well as their most danceable! Very recommended to electronic music lovers!